Jen always comes up with some of my favorite Halloween decoration ideas. This year is no different. 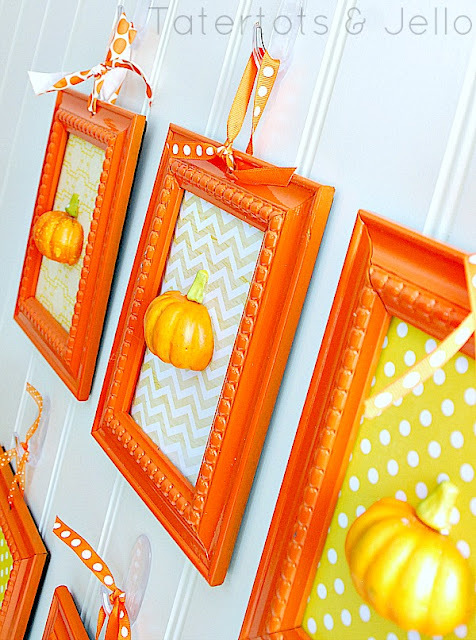 This week is pumpkin week on her blog and she has kicked it off with these fun 3D framed pumpkins. This fun pumpkin wall art would look great over my mantel...an area that is still e-m-p-t-y! You can check out how to make pumpkin wall art over at Tatertots & Jello.